Communications software is the loose category of systems and apps that allow users to exchange files and text, audio and video messages via cloud or local network from various devices. The most common tools are email, chat and messaging apps. Aside from handling day-to-day message exchanges, communications software are used to conduct remote meetings and discussions in real time. They often feature enterprise-grade security over the infrastructure to protect sensitive data. They may also include advanced features such as file transfer protocol, an intranet platform and VoIP. What are examples of communications software? What are benefits of communications software? What are types of communications software? What are features of communications software? What are key buying factors to consider? What is pricing of communications software? If you don’t use communication software you run the risk of miscommunication, which leads to costly mistakes. One of the common reasons for poor communication in the office is limited feedback. Feedback is even harder to come by for remote teams. A good communication solution can easily address this problem by ensuring everyone is connected to each other and in real time. Likewise, relying solely on email won’t cut it if you have a growing company. Did you know that on the average a corporate user sends and receives about 110 emails every day? Having a chat or voice channel can quickly cut to the confusion if you want to clearly get your message across. Likewise, this chart shows that email is one of the time-consuming daily activities. What are the types of Communications Software? What does communications software do? That depends on the type of software. As this category loosely lumps together different apps, we can categorize them based on how they are usually packaged. Take note that the features of communications software vary by a mile because some apps are standalone, while others are integrated with a bigger system like CRM or project management. Unified communications system. This features the whole works–phone support, ticketing, intranet, VoIP and other enterprise tools like reporting and analytics. It may be categorized, too, as a help desk or contact center solution, as it is usually used for customer support or outbound sales. Web conferencing. This type features text, audio and video exchange capabilities and is used for various purposes such as: conference calls, video presentations, employee training, customer onboarding, tutorials and webinars. It is ideal for organizations with remote teams, global clients or a long web mailing list. Live chat. Many vendors offer live chat as a standalone app that you can embed in your digital channels like website, social media page, newsletter and custom app. Live chat apps today are sophisticated, able to collect and qualify leads, provide analytics on web visits and FAQs or integrate with your CRM or other key business systems for shared data. What are the examples of Communications Software? To give you a better idea about this software category here are a few examples of communications software. These apps encompass the range of services that are being offered by vendors in this niche. RingCentral. It is a good definition of a robust cloud phone system. It features an advanced PBX that bypasses the need for costly hardware, software license, maintenance, workstation phones and operators. It allows for voice communications, online meetings and business conferences. 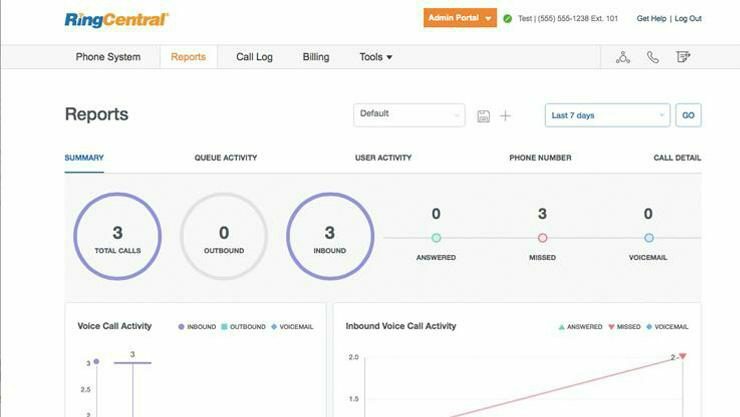 A suite of communication tools, RingCentral is scalable to meet your growing needs, such as call management, HD voice calls and multilevel attendant.  8×8 VoIP Phone Service. It’s a suite of communication modules including phone system, business apps and collaboration platform. It allows web conferencing, smartphone integration and internet facsimile, among others, plus its web dashboard provides call management controls. Its collaboration tools include IM chats, video conferencing, virtual office and contacts integration. Slack. A highly popular free messaging app that allows real-time chats and calls. It also indexes conversations and messages for easy retrieval. A ubiquitous app, it integrates with a wide range of business systems and comes ready with Android and iOS apps. Paid subscriptions are available for more advanced features like more file storage, custom user groups and SLA. Join.me. It is ideal to initiate meetings from a smartphone or connects to colleagues instantly across time zones. The app is useful for ad hoc meetings to address immediate concerns. It includes screen sharing, file transfer, audio conferencing, recording and single sign-on authentication. Skype. Perhaps the most popular free IM chat, this app is lightweight, intuitive and reliable for everyday chats and audio/video calls. It easily replaces the need for VoIP service or phone lines for overseas calls. For more sophisticated tools, Skype offers paid subscriptions. Roundee. A video conferencing platform designed to be easily adaptable to any working environment, helping users maximize online meetings with powerful features on top of video conferencing, such as recording and transcription. It is built to be versatile and seamlessly integrated, enabling users to video record online meetings and delegate tasks on the spot. TEM Suite Call Accounting. An integrated call accounting platform designed to capture all telecom processes to provide users with a 360-degree view of all telecom usage and expenses, including wireless communication networks. Equipped with this information, users can better manage their expenses and improve their infrastructure. The RingceCentral dashboard gives you a clear picture of your KPIs. What are the benefits of Communications Software? Why use communication software when you already have email? Well, email is just one tool in a suite of communication apps. There are more to this software that will allow you to do or achieve the following. Work remotely. Teams are increasingly distributed not just within the country but globally. Businesses today need communication tools to keep everyone on the same page in real time to conduct daily operations, work collaboratively or address urgent situations. With a suite of communication software tools leveraging cloud and mobile, teams today can delegate tasks, coordinate activities and communicate instructions wherever and whenever they have internet connection. Boost productivity. Communicate with clarity among teams and avoid costly errors like missed deadlines, wrong outputs and mismatched expectations. You have plenty of tools to ensure you get the message across. Likewise, most communications apps like live chat, email and VoIP have a recording feature that keeps employees accountable to their tasks. Remote teams are also always connected through mobile devices, so the office and field can quickly coordinate daily and urgent tasks. Overall, the company boosts productivity when everyone is on the same page. Easy to integrate. Most live chat, email and other messaging apps are so ubiquitous that they work smoothly with bigger systems like CRM, project management, help desk, ecommerce platform and other SaaS solutions. That means you can share data seamlessly, for instance: funnel live chat messages into CRM for leads; convert emails into tasks or tickets; or upload recorded webinars or trainings in your knowledge base. Capture important information. One of the major advantages of communications software is, it acts as a repository of data. Many apps can record or archive message exchanges and audio and video calls, meaning, you can capture important details such as customer queries, discussion points and meeting minutes. The benefits for this are plenty, including: sorting promising customer inquiries for leads; referencing discussion points as proof of agreement; and preparing minutes. Minimize costs. Many communications software solutions can be accessed using your employees’ smartphone or tablet. This significantly lowers hardware cost. Similarly, many free communication tools are good enough to exchange messages, audio/video calls and files. You can also replace expensive PBX and landline licenses and hardware with cloud-based communications software at affordable monthly fees. Skype is one of the most popular free IM chat apps that can replace traditional PBX. What are the features of Communications Software? How does communications software work? These are the common features of a communications system, a suite of built-in or standalone tools that you can mix and match. Cloud PBX. The feature bypasses the hardware components of traditional PBX, such as a hub and workstation phones. More so, cloud PBX extends the reach of traditional PBX by connecting your employees’ smartphones to the central system via the internet. Call recording. Text, audio and video are captured by this feature for future reference or use. This tool is handy for a variety of uses, from backing up agreements to creating minutes. Call recording can also be used by sales and marketing to discover promising leads or market insights. Auto receptionist. Automatically receives calls, sorts and forwards them to the right person or department. This feature frees up your receptionist to handle other important things. Voicemail. Records phone calls in your absence. Internet facsimile. Uses internet protocol to send fax from your computer. It also saves on paper. This feature though is giving way to the more advanced capabilities of document sharing tools, which can be built-in or integrated in the communications software. Web conferencing. A communications software may have a built-in audio and video conferencing feature, which allows for virtual meetings and webinars. A chat tool is usually included in case of poor internet connectivity. Integrated collaboration tools. These may include live chat, email, other messaging apps and file sharing. Some software have these as built-in features, while others integrate with third-party apps for extended capabilities. 8×8 Phone Service connects you to your teams anywhere, anytime. What are the buying factors to consider with communications software? What is communications software but tools that provide the means to exchange messages? Actually, it’s more complex than that. Before you subscribe to a plan or install an app, consider these factors that will impact on your user experience and long-term viability of the solution. Fully featured or individual apps. Communications software can be a comprehensive PBX system with integrated document management and collaboration platform. Or, it is just a live chat or a web conferencing app. That’s an ocean of difference when considering this loose category. The purpose of communications software depends on your need, so think first how you want this process is implemented. If you have a recurring need for employee training, consider a web conferencing feature. If you have simple message exchanges, a live chat will do. Likewise, prefer a vendor that can scale the features and pricing, so the solution grows with your business. Free or paid. This software category is replete with robust freemiums, the most plentiful maybe in all SaaS, so consider trying the free apps first. There are plenty of free IM chat apps, VoIPs and web conferencing tools out there that deliver the job for small business. That said, make sure the free app has paid plans that let you scale to more advanced features like reporting and analytics, social media integration and more users in case they become necessary. Third-party integration. Communication is central to any business systems, so make sure the communication tools you’re using now will integrate with your other business systems like CRM, project management and help desk. While you can always get a system with built-in communication features, migrating contacts and messages is a nightmare. You’d want to stick to your current apps and just integrate them with third-party systems. Security. This is always a bone of contention when considering cloud solutions, and many communication tools work in the cloud. Security protocols vary by vendor, but generally, consider the following security features especially for enterprise systems: user permissions; backup plan; and managed encryption. Cost efficiency. This pertains to the predictability of monthly fees (no hidden charges or padded fees) and total cost of ownership (TCO). Make sure how you are charged (by user, calls, feature set, etc.) and that the charges are clearly stated in the invoice. Likewise, calculate TCO including the time spent to get employees on board, installation and other technical requirements. Service quality. Most vendors are eagerly receptive during your purchase process that’s because you’re dealing with sales, not support. Find out through user reviews or from current customers how the vendor fares when it comes to addressing customer concerns. You’ll need support for technical issues, bill disputes and upgrade inquiries, among others. What is the pricing of Communications Software? What is the cost of communications software? That varies based on the type of app. Here are a few examples. RingCentral. Provides a basic feature set that can be scaled to three price plans with fixed fees: Standard, Premium and Enterprise. Subscriptions start at $24.99 per user/month. All plans include intercom, paging, shared lines and advanced call forwarding, among others. 8×8 VoIP Phone Service. Many vendors require a quote request to provide a customized plan. 8×8 VoIP is an example; you need to contact the vendor and submit details. Slack. It is an example of a robust free app. The freemium comes with searchable message archives, up to 10 third-party apps integration and up to 5 GB storage limit. Slack also scales to three paid plans starting at $6.67 per user/month. Join.me. Like Slack, this app comes with a robust free version, but it only scales to two paid subscriptions starting at $18 per month. Skype. It also comes for free with paid plans starting at $5.50 per user/month. The paid plans let you integrate the app with Office 365 for extended functionalities. What are the potential issues with communications software? Communication software does not lack for issues. Here are the common problems you may encounter. Security. Putting up sensitive information in the cloud always has its risks. It’s not to say though that leaving it in your local computer is safer. Assess the vendor’s security protocols and terms. Security also means the vendor has a backup plan in case its servers act up or are hacked, so your business is not disrupted or put into peril. On another note, if you’re discussing confidential details, never connect to the cloud communication system via public wifi or outside of your verified networks. Hackers may be eavesdropping or tracing your digital footprint. A good measure is to use a VPN to hide your online exchanges. Disparate tools. With plenty of free apps at your company’s disposal your teams may end up using different apps or they shuffle between apps. What happens is you lose the advantage of capturing messages, discussions and files in one location; instead, it would be difficult to trace conversations or look for a shared file across a slew of free apps. Unified isn’t always the best. Having a unified system on the other hand may limit accessibility or jack up costs. For example, the system only supports iOS, leaving out Android users in your organization. Lack of mobile app. Native mobile apps for Android or iOS make it faster and smoother to connect to the cloud from a smartphone or tablet. If the solution lacks this feature, you’ll need to connect via mobile browser, which is slower and more cumbersome. What are the latest communication software trends? Finally, after answering our questions–What is communications software? and all other aspects–we look into the future of this software category. These are the possible trends to expect in the communications software space. Social intranet. Intranets are incorporating social media elements to drive engagement and simplify communication. You will find Facebook- and Twitter-like activity feeds, notifications, hashtags and @mentions in advanced communications solutions. Robust chat tools. IM messaging apps are old products being given a reboot feature set. Today’s live chat apps, for example, can now easily handle media formats from video to web conferencing. We expect to see more functions embedded in a chat, including shopping, social media, product reviews and integrated third-party apps. Bots. AI chatbots have already taken hold in the market addressing FAQs. We expect these bots to further advance, able to handle more complex conversations and fully free up humans from managing customer service. VR. Virtual reality as applied to communications has a long way to go, but is feasible more than ever. We already have VR-enriched online shopping, where customers can “enter” an online shop and pick the items. The same technology can easily be adopted to sales presentations or group meetings using communications software.